Dr. Paula Timoney’s career spans over thirty- five years and demonstrates a sustained commitment to infants, families and the education of nurse practitioners. She is a Clinical Associate Professor in the Graduate Program in Advanced Practice Nursing. Dr. Timoney has extensive experience in neonatal nurse practitioner education and practice. She has been the Director of the NNP Program since 2012, and most recently assumed the role of Director for the Master’s in Nursing Leadership Program at Stony Brook University. Dr. Timoney has enjoyed a progressive academic career that exemplifies a commitment to quality education in a specialty nurse practitioner field. Her academic achievements have been recognized by increasingly more complex assignments and positions within the School of Nursing. Her university service, in part, includes active participation on the Curriculum Committee, the Evaluation and Outcomes Committee, and as Assistant Presiding Officer of the Faculty Assembly of the School of Nursing and a Senator at Large representing the Health Sciences Center for Stony Brook University. Dr. Timoney’s sponsored research in education includes projects that address the diverse learning needs of the distance education student. Many of her local, state and national presentations have focused on the special needs of the distance learning student in an asynchronous learning program, best educational practices, human patient simulation, scope of practice and risk management. In 2014, Dr. Timoney, along with her colleagues received a $20,000 Innovative Instructional Technology Grant from the State University of New York to implement team-based learning into the curriculum of the NNP Program. Dr. Timoney’s philosophy of teaching, practice and research is based on mentorship with the objective of developing competent clinicians and leaders who can identify and evaluate the best evidence to inform their practice. The metric to determine competency is certification. In 1989, Dr. Timoney developed the first and only certification review course for neonatal nurse practitioners. The five-day conference continues annually and is widely recognized as the most comprehensive review for Neonatal Nurse Practitioners. Dr. Timoney’s experience as Director of Advanced Practice Providers at a freestanding pediatric hospital has been a jumping off point for leadership roles in both state and national nursing organizations. Dr. Timoney’s service to the National Association of Neonatal Nurses (NANN) includes representation on the NANNP Council for four years, the co-chair of the 2014 Task Force to revise the NANN Education Standards and Curriculum Guidelines for NNP Programs, the co-author of the 2012 NNP Workforce Survey Report, the NANN Nominations Committee and the NANN Conference Planning Committee. 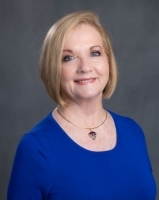 As a founding member of the Florida Association of NNPs (FANNP), Dr. Timoney has served FANNP in many capacities, including Vice President, President, Newsletter Editor, and Conference Planning Committee Member. She is currently an at-large member on the Board of Directors. Dr. Timoney also represents FANNP on the Florida Coalition of Advanced Practice Nurses (FCAPN). As a clinician, educator and role model, Dr. Timoney has influenced many to improve the care of thousands of infants and children. Her overarching goal is to develop innovative strategies for effective teaching/learning in distance education programs to provide students with the skills and tools necessary to deliver safe, effective, and evidence-based care throughout their nursing careers. Timoney, PM. (PI) & Cavaliere, TA. (2014-16) “Implementation of Team Based Learning in an Asynchronous Distance Education Graduate Nursing Course,” Stony Brook University, NY. Timoney, PM. (PI) & McDonald-Kerr, C. (2013). “Realization of Full Feedings in Infants Fed Human Milk versus Premature Formula,” Stony Brook University, NY. Timoney, PM. (PI) & LeFlore, J. (2012). “A Revolutionary Approach to Neonatal Nurse Practitioner (NNP) Education: Preparing the 21st Century NNP,” Stony Brook University, NY. Senecal, S, Rogers, K, Timoney, PM. (Co-I) & Vaught, E. (2011). “The Use of Massage Therapy in Hospitalized Pediatric Patients with Chronic and Non-malignant Pain, All Children’s Hospital, St. Petersburg, FL. Rogers, K, Rhoades, K, Senecal, S & Timoney, PM. (Co-I). (2010-12). “Comparison of Conventional Wound Management to the Use of Honey in the Promotion of Wound Healing,” All Children’s Hospital, St. Petersburg, FL. Timoney, PM. (PI). (2010-12). “Faculty Use and Barriers to Use of Human Patient Simulation in Neonatal Nurse Practitioner Educational Programs,” Doctor of Nursing Practice Thesis, Case Western Reserve University. Timoney, PM. (PI). (2009-12). “Evaluation of CPR Anytime Program,” All Children’s Hospital, St. Petersburg, FL. Kayton A, Timoney PM, Vargo L, Perez JA. (2018). Current Practices and Attitudes Regarding Use of Inhaled Nitric Oxide in the NICU: Results from a Survey of Members of the National Association of Neonatal Nurse Practitioners [published online ahead of print February 20, 2018]. Advances in Neonatal Care. 2018;18(2):88-97. https://doi.org/10.1097/ANC.0000000000000470. Kayton A, Timoney PM, Vargo L, Perez JA. (2017). A Review of Oxygen Physiology and Appropriate Management of Oxygen Levels in Premature Neonates [published online ahead of print September 25, 2017]. Advances in Neonatal Care. 2018;18(2):98-104. https://doi.org/10.1097/ANC.0000000000000434. Timoney, PM. & Sansoucie, DA. (2014). Educational Standards and Curriculum Guidelines for Neonatal Nurse Practitioner Programs. Chicago, IL: National Association of Neonatal Nurses. Timoney, PM. & Sansoucie, DA. (2012). Report on the Neonatal Nurse Practitioner Workforce Survey. Glenview, IL: National Association of Neonatal Nurses. Timoney, PM. & Sansoucie, DA. (2012). Executive Summary: Neonatal nurse practitioner workforce survey. Advances in Neonatal Care, 12(3): 176-178. Donnelly, S., Timoney, PM., & Hametz, P. (2018). “An Evaluation of a Medical Care Coordination Program for Children with Medical Complexity.” Accepted for presentation: 27th Annual American Pediatric Surgical Nurses’ Association Conference, Palm Desert, CA. Timoney, PM. & Cavaliere, TA. (2017). “The Use of Collaborative Testing to Enhance Learning in an On-line Graduate Nursing Course.” Poster presentation, NANN 33rd Annual Education Conference, Providence, RI. Timoney, PM. & Cavaliere, TA. (2017). “The Use of Collaborative Testing to Enhance Learning in an On-line Graduate Nursing Course.” Podium presentation, AACN Masters Education Conference, Atlanta, GA.
Timoney, PM. & Cavaliere, TA. (2017). "Team Based Learning: It’s Use in Enhancing Learning in an Online Graduate Neonatal Pharmacology Course." Poster presentation, AACN Masters Education Conference, Atlanta, GA.
Timoney, PM. & Cavaliere, TA. (2016). “The Effectiveness of Team-Based Learning in a Distance Education Graduate Nurse Practitioner Course.” Poster Presentation. AANP 2016 National Conference, San Antonio, TX. Timoney, PM. & Cavaliere, TA. (2016). “The Effectiveness of Team-Based Learning in a Distance Education Graduate Nurse Practitioner Course.” Poster Presentation. 15th Annual Team-Based Learning Collaborative National Conference, Albuquerque, NM. Timoney, PM., Cavaliere, TA. & Vargo, LE. (2015). “The Effectiveness of Team Based Learning in an Asynchronous Distance Education Graduate Nursing Course.” Paper & Poster Presentation:  NANN 31st Annual Educational Conference, Dallas, TX. Timoney, PM., Cavaliere, TA. & Vargo, LE. (2015). “The Effectiveness of Team Based Learning in an Asynchronous Distance Education Graduate Nursing Course.” Poster presentation: FANNP’s 26th National NNP Symposium: Clinical Update and Review, Clearwater Beach, FL. Timoney, PM., Cavaliere, TA. & Vargo, LE. (2015). “Implementation of Team Based Learning in an Asynchronous Distance Education Graduate Nursing Course.” Presentation and Poster Presentation: Neonatal Advanced Practice Nursing Forum, Washington, DC. Timoney, PM., Cavaliere, TA. & Vargo, LE. (2015). “Implementation of Team Based Learning in an Asynchronous Distance Education Graduate Nursing Course. Poster presentation: 24th Annual Conference on Instruction & Technology (CIT), Geneseo, NY. Timoney, PM., Cavaliere, TA. & Vargo, LE. (2015). “Implementation of Team Based Learning in an Asynchronous Distance Education Graduate Nursing Course.” Poster presentation: 14th Annual Team Based Learning Collaborative Conference, St. Petersburg, FL. Timoney, PM., Cavaliere, TA. & Vargo, LE. (2014). “Implementation of Team Based Learning in an Asynchronous Distance Education Graduate Nursing Course.” Poster presentation: FANNP’s 25th National NNP Symposium: Clinical Update and Review, Clearwater Beach, FL. Timoney, PM. (2013). “Despite Positive Attitudes toward Human Patient Simulation by NNP Faculty, the Actual Use is Low: Why?” Poster presentation: FANNP’s 24th National NNP Symposium: Clinical Update and Review, Clearwater Beach, FL. Timoney, PM., LeFlore, J, Thomas, P, Vargo, LE. & Sansoucie, D. (2013). “A Revolutionary Approach to Neonatal Nurse Practitioner Education: Preparing the 21st Century NNP.” Poster presentation: FANNP’s 24th National NNP Symposium: Clinical Update and Review, Clearwater Beach, FL. Timoney, PM., Bodin, MB, LeFlore, J. & Reavy, D. (2013). “Best Practices in Distance and On-Line Education: Challenges & Tips from the Trenches!” Neonatal Advanced Practice Nursing Faculty Forum, Washington, DC. Timoney, PM., LeFlore, J, Thomas, P, Vargo, LE. & Sansoucie, D. (2013). “A Revolutionary Approach to Neonatal Nurse Practitioner Education: Preparing the 21st Century NNP.” Poster presentation: NONPF 39th Annual Meeting, Pittsburgh, PA.
Timoney, PM. & Jaeger, C. (2012). “Leadership Summit.” National Association of Neonatal Nurse Practitioners, Palm Springs, CA. Mueller-Burke, D. & Timoney, PM. (2011). “How to Choose and Survive a Doctoral Program: Pearls from Faculty & Recent Graduates.” Advanced Practice Neonatal Nurses Forum, Washington, DC. Timoney, PM. (2011). “Faculty Use of and Barriers to Use of Human Patient Simulation in Neonatal Nurse Practitioner Educational Programs.” Research brief presented at Advanced Practice Neonatal Nurses Forum, Washington, DC. Timoney, PM. (2011). “Faculty Use of and Barriers to Use of Human Patient Simulation in Neonatal Nurse Practitioner Educational Programs.” National Association of Neonatal Nurses Research Summit, Scottsdale, AZ.